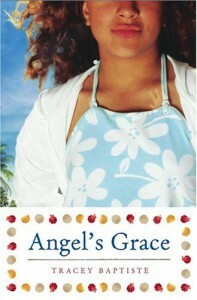 Thirteen year old Grace and her younger sister Sally, spends a summer holiday with their grandmother in Trinidad. Pulled away from her New York home, she is left unhappy with no one to talk to. Whilst there, she finds a photo album. One picture is a blurred image of a man with an identical birthmark to hers. Grace starts to question her family but nobody seems to know who the man is and she feels she has no choice but to look into this. Her search leads her to discover things about herself and her family, that she never could have imagined. Tracey has drawn a great image of Trinidad, well described. We are quickly drawn into the main story of her birthmark, it drew me in and kept me interested. As they go looking for answers the only thing that I couldn't accept is Grace gets very nervous when Sally runs to a shop in a large crowd, though moments later she leaves her to talk to her friend Raj. In a strange place I wouldn't let go of her hand. Maybe that's the mother in me speaking. 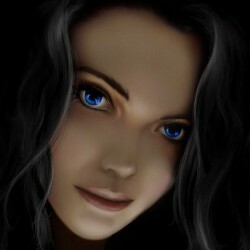 As the story comes to its conclusion I love the introduction of Angel's sister. This is an easy to read book, the writing style really works well and slowly unfurls into a coming of age story. It was a nice, gentle read which I really enjoyed.